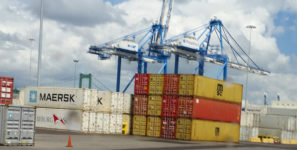 PROPOSED PROJECTS WILL ENHANCE PORT CONNECTIVITY TO INDIA'S HINTERLAND: They aim to help reduce logistics cost and cargo transit times. Sagarmala is the flagship program of India's Ministry of Shipping. 21 port-rail connectivity projects in India aim at strengthening rail network and last-mile connectivity to the ports. As part of the Sagarmala Program, seven multimodal logistic parks have been proposed in India. India’s Ministry of Railways will be taking up 21 port-rail connectivity projects, at an estimated cost of $300 million. The projects were identified under the port-connectivity enhancement objective of Sagarmala, the flagship program of the Ministry of Shipping. These projects are aimed at strengthening the rail network and the last-mile connectivity to the ports. In addition, another six projects are being considered by the Indian Port Rail Corporation Limited (IPRCL). IPRCL, which was incorporated by the Ministry of Shipping, would take up the projects after prioritizing them. IPRCL has already awarded three port connectivity projects for Vishakhapatnam and Chennai ports for quick evacuation of cargo, and another 19 projects are in the pipeline. Many port-rail connectivity projects have been identified as part of the National Perspective Plan of April 2016, under the Sagarmala program including development of a heavy haul rail line from Ib Valley/Talcher to Paradip. The project will help in the transportation of thermal coal from Mahanadi Coalfields to various coastal power plants in southern India via coastal shipping. Other rail connectivity projects to major ports in India like Tuticorin and non-major ports like Dhamra, Gopalpur, and Krishnapatnam have also been proposed. “These projects will enhance port connectivity to the hinterland and help in reducing logistics cost and time for cargo movement making Indian trade more competitive,” said a government statement. Sagarmala is the flagship programme of the Ministry of Shipping for promoting port-led development in India. It aims to achieve capacity expansion and modernization of India’s seaports, port connectivity to the hinterland, and port-led industrialization to promote trade and sustainable development of coastal communities. The National Perspective Plan for Sagarmala Program which was released in April by the Prime Minister identifies projects under the four major objectives of the program: port modernization and new port development, port connectivity enhancement, port-led industrialization, and coastal community development. More than 150 projects have been identified. generate approximately 1 crore new jobs, including 40 lac direct jobs, over a period of 10 years. These projects are expected to generate logistics cost savings and boost India’s merchandise exports by $110 billion by 2025. Also as part of the Sagarmala Program, seven multimodal logistic parks have been proposed in Madhya Pradesh, Chhattisgarh, Rajasthan, Odisha, Telangana, Uttarakhand, and West Bengal. The potential sites were identified based on comprehensive study of the container cargo movement across the country and are located in the proximity of important industrial clusters.